New Age Music News: Award-winning music group 2002 delivers an impressive live concert performance during the 10th Annual Zone Music Reporter Music Awards Ceremony. The Billboard Charting band 2002 gave an impressive performance at the 10th Annual Zone Music Reporter Awards. The ZMR Music Awards Ceremony, and live, on-stage concert by the group 2002 was held on May 17, 2014 at the Joy Theater in New Orleans, Louisiana. 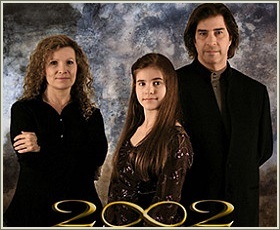 2002 performed several songs from their newest album Trail of Dreams, and played a couple of songs with David Arkenstone and Charlee Brooks. During the feature presentation by the group 2002, Pamela and Randy Copus’s talented 10 year old daughter amazed Zone Music Reporter concertgoers with her abilities as a vocalist and harp instrumentalist. 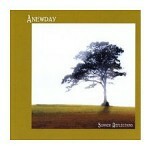 Sample the newest 2002 album Trail of Dreams at 2002Music.com. 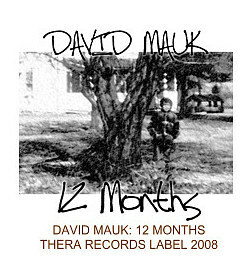 Portrait photo courtesy 2002music.com. 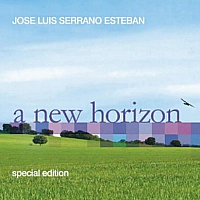 A New Horizon – Special Edition by José Luis Serrano Esteban. 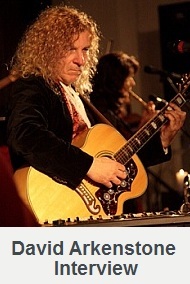 José Luis Serrano Esteban, a new age guitarist from Spain, is enjoying time at the Top 10 Zone Music Reporter Radio Chart the past couple of months. Esteban is off to a great start with his release titled A New Horizon (Special Edition), which has held ZMR’s #2 Top 10 Radio Chart position during January and February of 2012. 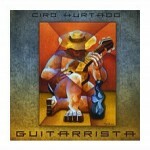 José Luis Serrano Esteban is a composer and multi-instrumentalist who studied classical guitar and electronic music. Esteban is skilled on a number of instruments including piano, keyboards, percussion instruments and programming, but guitar appears to be his specialty, performing on Spanish classical guitar, acoustic, 12 string, and a collection of different acoustic and electric guitars. 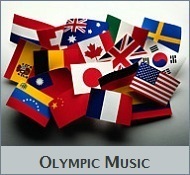 Esteban has released over 100 music compositions, each in a wide variety of styles that range from classical, electronic, new age, world and rock music. Along with his own cinematic recordings, Esteban is a guitar and electronic specialist in other artist’s CD recordings and audio video scores too, composing music for commercials, demo tapes, and soundtrack scores for television documentaries. José Luis Serrano Esteban is the second Spanish composer who has signed with Landscape TV, an audio visual media station in the UK called Landscape HD productions. 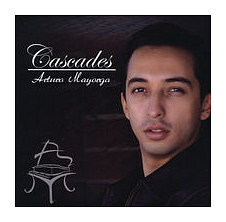 His first New Age Musica video was released in 2011. A New Horizon (Special Edition) is an adventurous blend of classical and electronic rock music with several songs in near representation style to iconic band Tangerine Dream. The re-issue of A New Horizon (Special Edition) has 16 songs, two of which are new bonus tracks. Nearly touching a dream & Vida (Life) have a pleasant atmosphere and pleasing feel of warmth, like the consistent qualities you will experience on the entire album. The essentials of José Luis Serrano Esteban’s music with composing, producing and recording A New Horizon (Special Edition) himself is the likeness of refined recording of songs with near qualities of what you hear on many of Will Ackerman productions. Esteban has a natural ability for pairing electronic and acoustic guitar with violin, piano and flute into serene instrumental songs. Together he and the additional artists from Spain have reintroduced a picturesque landscape across a new horizon. 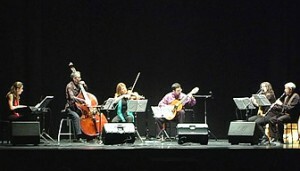 On A New Horizon (Special Edition), some pieces were performed with instrumentalists Nacho Serrano (Bass and 12 string acoustic guitars), Cristobal Caballero (double bass), Nuria Felix (violin), Santiago Puente (clarinet), Gloria Esteban (flute), Carlos Calvo (flute) and Covadonga Serrano (piano). 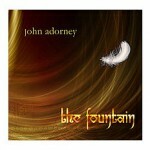 Visit JlseMusic.com to sample or purchase and find at his Amazon.com page. 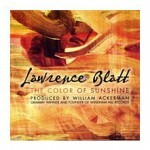 Cover artwork courtesy jlsemusic.com. 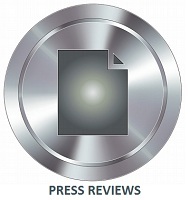 Zone Music Reporter (ZMR) selected their best album awards for 2011, in an award publication made available on March 11, 2012. Many of the artists Zone Music Reporter selected for an award also happen to be artists I have written reviews for or interviewed last year. There are a also a number of artists I cover who were selected as album award qualifiers and award nominees, in addition to the artists chosen for the best album in ZMR music award categories. 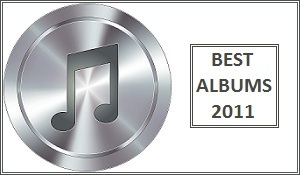 The ZMR best album award categories for 2011 are; Album of the Year, Best New Artist, Best Contemporary Instrumental Album, Best Instrumental Album – Acoustic, Best Instrumental Album – Piano, Best Vocal Album, Best Electronic Album, Best Ambient Album. 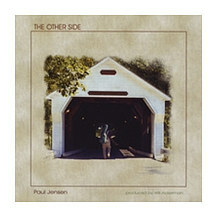 Zone Music Reporter also has album award categories for Best Neo – Classical Album, Best Relaxation – Meditation Album, Best Chill – Groove Album, Best World Album, Best Native American Album, Best Holiday Album, Best Cover Art. 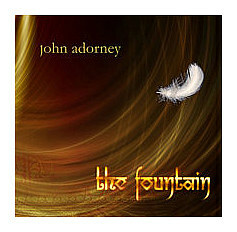 The artists I have featured at New Age Music World that won ZMR Awards for Best Albums in 2011 are shown by the album cover art below. 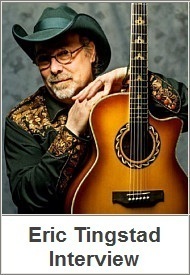 You also have the opportunity to visit each artist’s dedicated page featured at my site by an album review or interview publication. 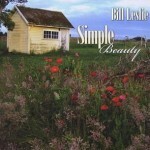 Simply click on the album cover arts shown below to visit their dedicated pages. The artists I didn’t have a chance to write about this year are shown in text below too, along with their best album award for 2011. Some artists Zone Music Reporter chose as award qualifiers, nominees, or selected for best album were recognized in my Best New Age Music Albums in 2011 publication I wrote on January 1, 2012. 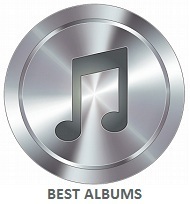 You can read about these artists on my Best Albums Awards section. In my role as interview host and review publicist, I have the opportunity to get to know many of the artists who are ZMR award candidates. It is always great news when I hear a number of the outstanding artists I know personally receive recognition for an album they produced in 2011. I will again be writing about top artists in 2012 by an album review or interview who will win an album award sponsored by ZMR in 2013. 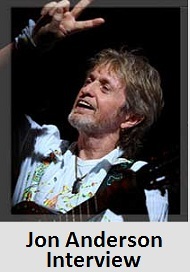 New Age Music World provides full news coverage of today’s popular artists and top music celebrities. 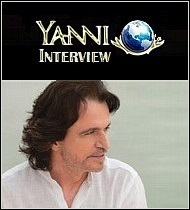 You can read my interview with Kitaro from last week, and my interview with Yanni that will soon be published. 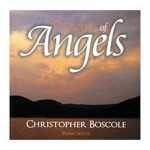 You can read reviews of their great albums from 2011 too. 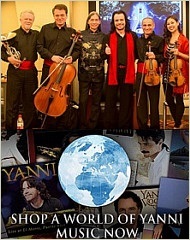 The Kitaro and Yanni interviews are exclusive publications only at this site. 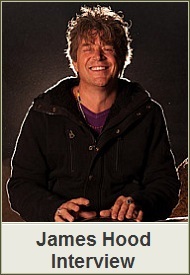 An interview with 3 time GRAMMY® winning, Grateful Dead drummer Mickey Hart may be announced, so look for the news soon. The new Mickey Hart Band album is titled Mysterium Tremendum. 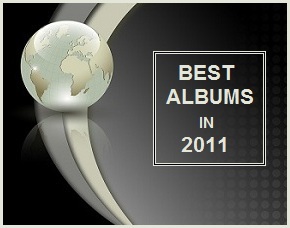 Congratulations to every artist who won a ZMR Award for Best Album in 2011! 1. 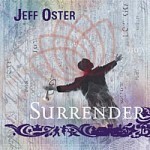 Best Album Of The Year – Surrender by Jeff Oster. 2. 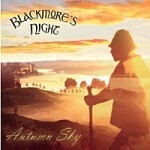 Best Vocal Album – Autumn Sky by Blackmore’s Night. 3. 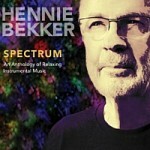 Best Electronic Album – Spectrum: An Anthology of Relaxing Instrumental Music by Hennie Bekker. 4. 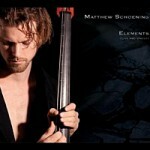 Best Instrumental Album – Acoustic – Elements (Live and Uncut) by Matthew Schoening. 5. Best Contemporary Instrumental Album – Spectrum: An Anthology of Music by Hennie Bekker. 6. Best Chill – Groove Album – Surrender by Jeff Oster. 7. Best World Album – … and Love Rages On! by AOMusic. 8. 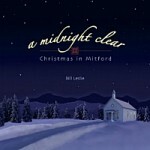 Best Holiday Album – A Midnight Clear: Christmas in Mitford by Bill Leslie. 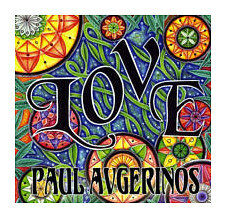 Best New Artist – Where I Belong by Sajjad, Best Instrumental Album – Piano – Red Leaf, Grey Sky: Piano Improvisations by Catherine Marie Charlton, Best Ambient Album – Resonance by Takashi Suzuki, Best Neo-Classical Album – The Royal Albert Hall Concert by Ludovico Einaudi, Best Relaxation – Meditation Album – BLISS by Paul Avgerinos, Best Native American Album – Many Paths by Lorrie Sarafin, Best Cover Art – Red Leaf, Grey Sky: Piano Improvisations by Catherine Marie Charlton. 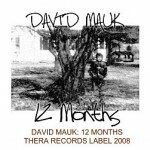 Visit ZoneMusicReporter.com and ZMR Awards page for Best Album in 2011. 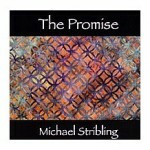 Find more great albums from 2011 produced by top ranked artists in my Best New Age Albums in 2011 publication. Big Stock Photo copyright Pkruger & Stuarthe. 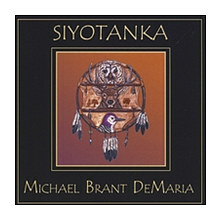 Dr. Michael Brant DeMaria is a 54th GRAMMY® Awards Nominee in the Best New Age Album category this year, scheduled for Sunday, Feb. 12, 2012. Nominated for his Gaia album, Michael is also a new age artist with a continuous mission. For the past 30 years as an integrative psychotherapist, Michael has committed much of his life helping people resolve their personal issues. 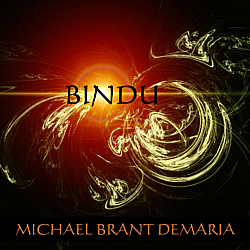 Bindu is the brand new 2012 release from Michael Brant DeMaria, who is a top ranked new age artist in his own right. The first release in his Ontos Healing Sound Project is The River, which led to his GRAMMY® Nominated healing/meditation release Ocean. Remaining the number 1 album for 3 months on Zone Music Reporter’s top 100 monthly charts, Ocean ended the year 2009 achieving ZMR’s Best Ambient & Best Relaxation Album Awards. GRAMMY® Nominated in 2012, Gaia has a graceful vibrancy that gently renews the inner spirit. Gaia is comparable to The River & Ocean, but the innovative world music inspirations found in Gaia heighten the emotional sensations of calm, and ascertains our undeniable connection with planet earth. 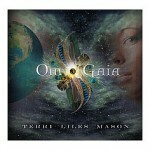 Many may remember in 2010, Gaia achieved Album Of The Year & Best World Album in Zone Music Reporter’s Music Awards. Bindu is a wellness driven musical experience from the directive of four time GRAMMY® Nominee Dr. Michael Brant DeMaria, who is conceivably the most accomplished artist in the field of relaxation/meditation music today. Fourth in his popular Healing Sound Project, the serenity of Michael’s performance on Bindu reaches the pinnacle of healing music, this time turning his focus inward on the identity of oneself, and the identity of one another. Michael Brant DeMaria as a professional caregiver has supported others by guiding them through some of life’s most challenging situations. And so by this directive, Michael transforms his capacities as a healthcare professional into therapeutic music designed to help people manage life’s challenges. Bindu is another exceptional new album with award winning potential, but only time will tell if Bindu will secure his fifth nomination in 2013, and if Gaia will achieve GRAMMY® Award status in 2012. 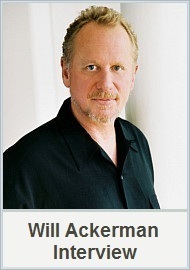 Michael’s firsthand experience as both a professional caregiver and top award nominee in 2012 has placed him in a unique position by becoming a benefactor on one hand, and a potential beneficiary on another. 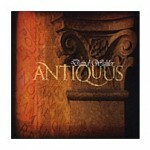 Visit ontos.com homepage and sample or purchase at his music store page or Amazon.com page. Read our interview and album reviews on my page dedicated to Michael Brant DeMaria. Photo images courtesy Michael Brant DeMaria. The Zone Music Reporter Music Award Winners for 2010 were announced on March 13, 2011. 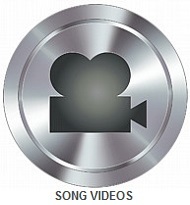 Many of the artists we write album reviews about or interview are category qualifiers, award nominees, or chosen award winners in specific ZMR sponsored music award categories in 2010. In our role as review publicists and interview hosts we often get to know many of the ZMR award candidates personally, so it is always good news when we hear exceptional artists get the recognition they deserve. 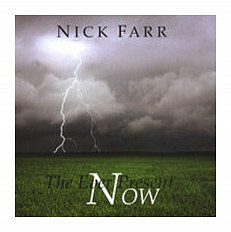 In fact, many New Age music qualifiers, nominees, and award winning musicians were recognized in the NewAgeMusic.nu Best Album Awards in 2010. 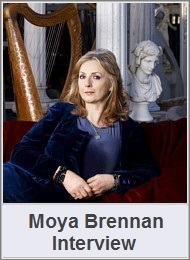 We take pride ourselves when writing about these commendable individuals, and look forward to writing about many more top New Age music artists by an album review or interview in the days ahead. The ZMR Award Winning Musicians are shown in the cover art shown below. 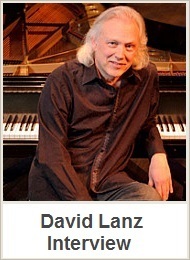 You can click on the cover arts to visit the page for each ZMR artist featured at this website. The ZMR award winners we didn’t have a chance to write about this year are shown below. B.T. Fasmer and I congratulate everyone! 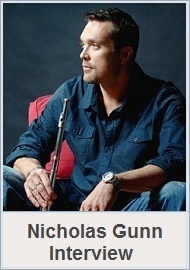 Place cursor over album cover art for each artist’s album award status. Best New Artist – Another Place and Time by Heidi Anne Breyer. 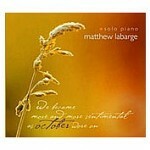 Best Instrumental Album – Piano – Another Place and Time by Heidi Anne Breyer. 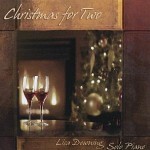 Best Vocal Album – The Grace of the Green Leaf by Lis Addison. 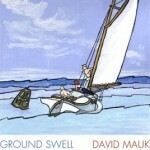 Best Electronic Album – The Crossing by David Helpling & Jon Jenkins. 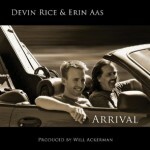 Best Ambient Album – The Crossing by David Helpling & Jon Jenkins. Best Cover Art – The Crossing by David Helpling & Jon Jenkins. 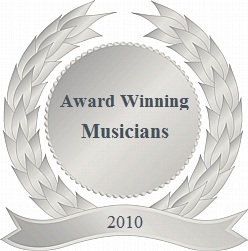 Visit ZoneMusicReporter.com to see the ZMR Music Award Winners for 2010. 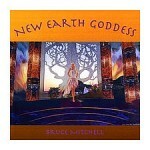 Read about many of the ZMR artists, and their newest albums on my pages for Best New Age Album Award. Big Stock Photo – Stuarthe. Planet Earth from the beginning was destined to be one of our greatest mysteries, where every life form and those yet to be discovered remain more dependent on our mysterious world rather than this blue planet would ever depend on us. 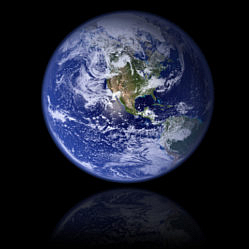 Simply put, we know Earth can survive without us, and in fact our present day endeavors to save the world is a statement equivalent to saying hey everyone, let’s save ourselves! 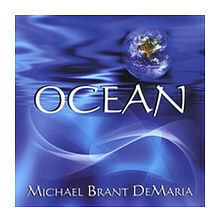 Michael Brant DeMaria, PH.D, is a clinical psychologist, lecturer, and award winning musician from Florida with a revitalizing new concept album honoring our shared heritage with the Earth by the World influences in Gaia, an innovative and exceptional brand new release in his widely acclaimed Ontos Healing Sound Project. 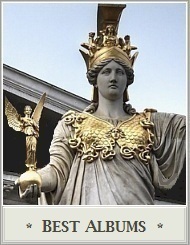 Gaia is essentially the achievement of over 25 years in personal and professional research by Michael into the fundamental principles of auditory healing techniques. 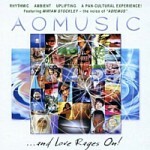 His New Age Ambient release The River began the first origins of the Ontos Healing Sound Project while leading to the Healing & Meditation release Ocean, which remained at number 1 for 3 months on the monthly charts then having ended the year 2009 with ZMR’s Best Ambient & Best Relaxation Album Awards. 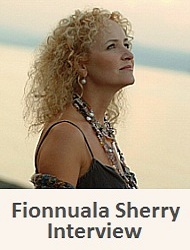 Ocean and was first conceived to help hurricane survivors begin anew and return to a more peaceful existence, but then after the 2010 Gulf Oil Disaster, Ocean became a second symbol of recovery since Michael donated his time performing concerts around the Gulf Coast Region, along with donating a portion of sales proceeds for the still ongoing wildlife recovery. 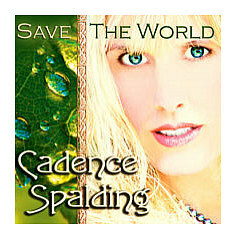 I was pleased to learn Ocean is under consideration for a 2010 New Age Grammy Nomination. 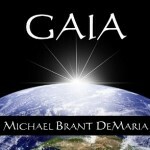 Gaia is a serene excursion into the Ontos Healing Sound Project by directive of Michael Brant DeMaria. Therapeutic by a graceful vibrancy that effectively renews the inner spirit akin to The River & Ocean; the innovative world music inspirations found in Gaia heighten these emotive sensations of calm and well-being while ascertaining our undeniable relationship with planet earth. 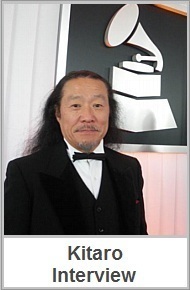 Siyotanka is the story based narrative and soundtrack score that secured a Native American Music Award ( NAMA ) in the Native Heart category, and then lead to his Grammy Nomination for Best Native American Music Album, along with winning the Best Native American Album at year ending ZMR Music Awards for 2009. Gaia has every hallmark for success since nearly every album produced by Michael Brant DeMaria has earned awards and respect from those in the music industry, and rightly so. Michael’s music, books, art, and poetry have acquired recognition in the United States along with widespread international acceptance in Australia, Europe, and Russia, having touched many lives with his universal message. 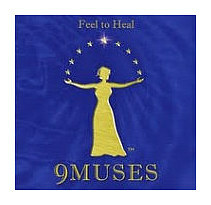 Third in the Ontos Healing Sound Project Gaia is based in part on the Greek Goddess Gaia, along with esteemed Earth Scientist Dr. James Lovelock’s Gaia Hypothesis, whose research studies involving planetary exploration while at NASA led to his famous Gaia Hypothesis which interprets the Earth we share as one cohesive single living organism. Gaia ( Title Song ) is the musical genesis of 14 tonal poetries and sound prayers traversing many nations and cultures, opening with a lighter piano melody, where World and Native American wood flutes in amended resonance on every song begin their ethnic exploration and develops into a wonderful first prelude to the ever changing stages in this moving expedition. Anima Mundi tells of an emergent period and where Michael uses his voice as a human instrument to speak for the ancestors of our past. The surreal Alchera features Australian ( didgeridoo ) ever present wood flute instrumentals and vocal exhalations to denote the Earth as a single living entity of magnificent beauty. Asase Yaa, with fine qualities of African rhythms and Amazonia, with South America textures are together moderate in rhythm, having unifying world flute instruments and percussions in each melody, even during the deep and mystical atmosphere of Ja’neba. The silk road to China is traversed by highly symbolic gong strikes in Xiaolin, along with Chinese flute ( Xiao ) in akin song Kuan Yin with traditional (Yueqin ) strings instrument dramatizing the orient with vibrancy. Gentle imprints of Japan are represented by bamboo flute ( Shakuhachi ) and the gentle breeziness of wind chimes leave fine impressions in Zazen & Tarani, likewise revealing Michael’s fine transition in World music personified on Gaia, along with the notion that our enduring heritage of dependency we share with planet Earth will always be just a simple fact of life. 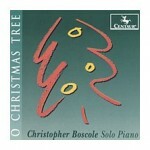 Visit ontos.org to sample / purchase or visit his CDBaby.com page or major music outlets. 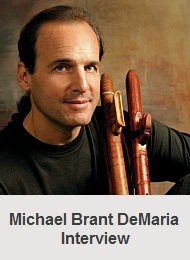 Visit michaeldemaria.com blog and read a recent in-depth interview with Michael and I, and my album reviews of his award-winning music on my pages dedicated to Michael Brant DeMaria. 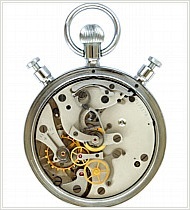 Picture copyright Big Stock Photo – Shutter. 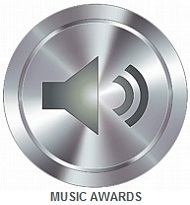 The ZMR Music Award Winners were announced on March 14 2010. Many of the artists we write about were category qualifiers, nominees, or chosen award winners in specific categories. It is always good news to us when these outstanding artists get recognition they deserve. 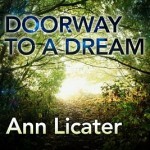 Every musician in our genre has produced some outstanding music this year,and we have enjoyed writing reviews about many of these musicians at NewAgeMusicWorld.Com & NewAgeMusic.nu this past year. There is no denying that every musician has made a significant contribution to our beloved genre and in our minds, has already become a winner. We enjoy writing about these deserving individuals and look forward to writing even more about our featured musicians in the days ahead. B.T. Fasmer and I would like to congratulate everyone ! 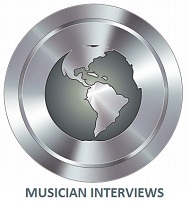 The qualifying artists we feature, along with their websites can be found by clicking on the ZMR news links provided in each review or interview. 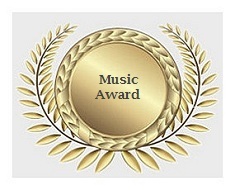 Visit zonemusicreporter.com a complete Category Awards List and the artists who won a best album award for 2009. 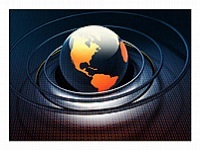 Expect New Age Music World to bring you even more about the musicians we feature here. 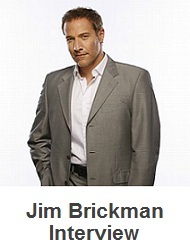 Below are the individuals we have been writing about who received top honors at ZMR for 2009. 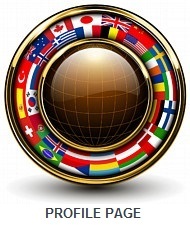 Again we invite our readers to visit each individual artist website by our links provided within every review. 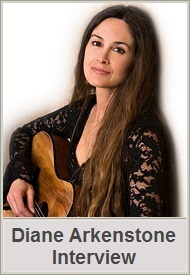 You can find their individual reviews by scrolling down our main pages or by clicking on their names in the right hand module to visit their dedicated page here at New Age Music World. 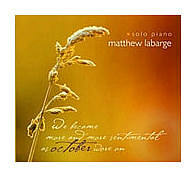 The ZMR Best Album Award winning musicians I wrote about this year at New Age Music World are shown above. Every artist listed has a home here so I will be posting more info about these award-winning artists in the future. The New Age Music genre is already an exciting music category to be involved with for many reasons and now the excitement is going to the next level since Zone Music Reporter (ZMR) recently took the first step in announcing their Annual Music Award Qualifiers for 2009. 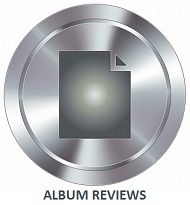 Every musician in our genre has produced some outstanding music this year, and we have enjoyed writing reviews for some of the current award qualifiers, award nominees, and artists who received a best album award this past year. We share in the excitement of hearing the final outcome of this years ZMR best album awards decision too. B.T. 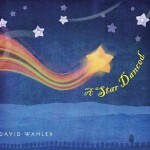 Fasmer and I know making a final determination is a challenge, and there is never an easy way to go about the task of deciding who will receive the highest recognition for a Top New Age Album Award in 2009. Here is the list of 20 ZMR Qualifiers we have been writing about this past year by our reviews or interviews, and is a nice sample of the many outstanding musicians now under consideration. On a personal note, I deeply respect everyone I have met and have enjoyed getting to know some artists even more by our recent interview together, and only wish I had time to request an interview with everyone. With that said, you may click on the links to visit the artist’s official website, and then our dedicated pages to 20 of the qualifying artists and my review of their current album or interview. There is no denying that every musician has made a significant contribution to our beloved genre and in our minds, has already become a winner simply by qualifying. We wish everyone the very best in ZMR’s annual awards, and again thank every artist for producing music everyone can be proud to call new age. 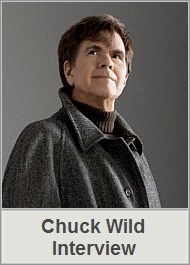 ZMR announced the Category Nominees on February 14, 2010 & the Award Winners on March 14, 2010. 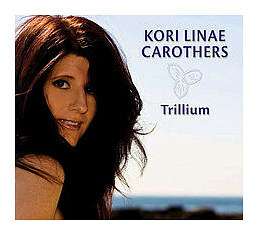 See a complete list of the Best Album Awards at Zone Music Reporter for 2009. 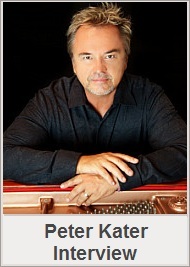 Picture Copyright BigStockPhoto – pkruger. NewAgeMusicWorld.Com & NewAgeMusic.nu ZMR Qualifying artists. Albums shown in alphabetical order. 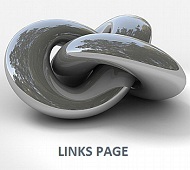 The click on Word Links are [ Website ] & [ Review ] for each artist listed below. Christopher Boscole / christopherboscole.com [ website ] O Christmas Tree.